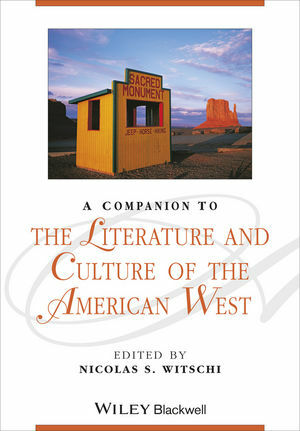 A Companion to the Literature and Culture of the American West presents a series of essays that explore the historic and contemporary cultural expressions rooted in America's western states. Nicolas S. Witschi is Associate Professor and Associate Chair, Department of English, Western Michigan University. He is the author of Traces of Gold: California’s Natural Resources and the Claim to Realism in Western American Literature (2002), a Western Writers Series monograph on Alonzo “Old Block” Delano (2006), and various articles and essays on Mary Austin, John Muir, Sinclair Lewis, and Henry James.